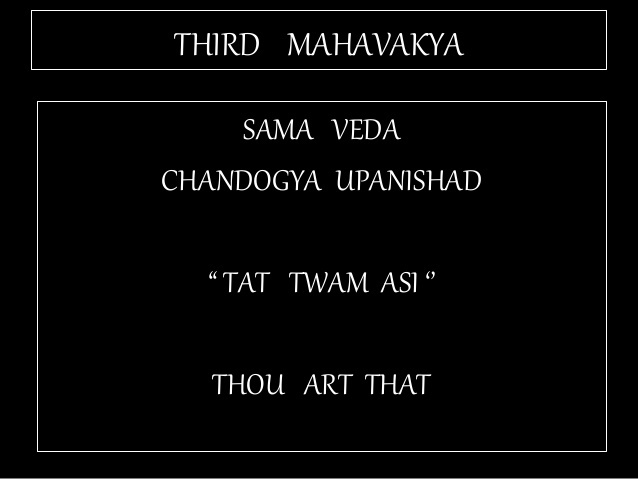 Indian Schools of Thought, ADVAITA(NONDUALISM), VISISHTADVAITA(QUALIFIED NONDUALISM), and DVAITA(DUALISM) account for man and world by describing three fundamental orders called 1. God, 2. Soul, and 3. Matter. However, they fail to account for Animate vs Inanimate Dualism. This distinction is very important as most philosophers, religious scholars, and writers tend to separate human soul from its human body. Soul is explained as immortal, immutable, imperishable, indestructible, unborn, and even uncreated principle that is distinct from human body that is explained as perishable, insensible, inert, illusion, or even unreal. In my analysis, the division or separation of man into Imperishable Soul, and Perishable Body is fundamentally flawed. TAT ASMI PRABHU – FIFTH MAHAVAKYA – ANIMATE VS INANIMATE DUALISM. THE DIVISION OF MAN INTO PERISHABLE BODY AND IMPERISHABLE SOUL IS FUNDAMENTALLY FLAWED. 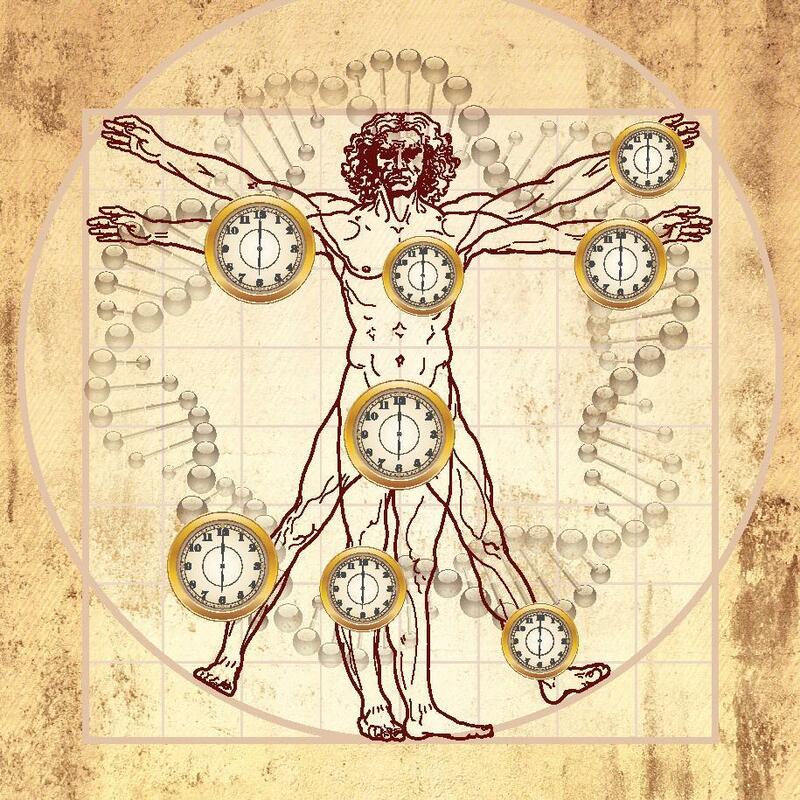 THE ENTIRE HUMAN BODY IS SENSIBLE FOR IT RECEIVES AND RESPONDS TO STIMULI FROM OUTSIDE. The entire human organism is “SENSIBLE” for it receives and responds to stimuli from outside objects or agencies. Human body as such can cause or perceive physical sensation, susceptible to stimuli, and is changing or responding readily in presence of some external force or condition. Human body begins as a single, fertilized Egg Cell that constantly responds to changing stimuli and its response is manifested by varying morphological appearance from conception to death. The term ‘inanimate’ is used to imply ‘inert’ nature of matter that is without power to move, act, or resist, and often denotes having few or no active properties. The distinction or dualism or separation of animate and inanimate has to be discerned by observing functions and actions performed by Animate and Inanimate Matter. Actions are divided into two kinds; 1. Transitive Action, and 2. Immanent Action. Similarly, Performances are of two kinds; 1. Mechanical Operations, and 2. Vital Operations or actions done by Mechanical Power or Vital Power. Action of one inert body upon another is called Transitive Action. Heating a stone is a Transitive Action; in heating, the hot thing loses its own heat. In Immanent Action, the agent performing action is perfected by its own act. Unlike a stone exposed to Sun radiation, a plant grows and develops using Sun’s energy. Such growth and development involve sensing and understanding and the results of such actions remain in the agent performing such acts. The distinction or separation of Mechanical Operations and Vital Operations is marked by use of ‘INTELLIGENCE’ in performance of actions. Intelligent Performance involves purposiveness, guided to achieve a future end, selection of means or goal orientation, and sequential actions. Consciousness describes difference between vital operations and mechanical operations. Consciousness accounts for differences between vital powers and capacities of inert matter. Consciousness establishes the boundary between Animate and Inanimate Matter. The nature of actions performed can be examined by understanding Oxidation-Reduction Chemical Reactions, actions that are performed by both living and nonliving matter. TAT ASMI PRABHU – FIFTH MAHAVAKYA – ANIMATE VS INANIMATE DUALISM. 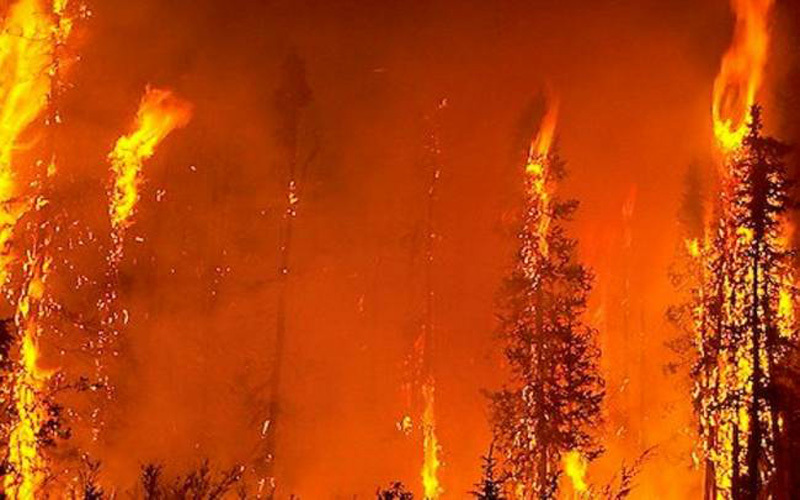 A FOREST FIRE GENERATES LIGHT AND HEAT, BUT IT LACKS THE PURPOSIVENESS OF FIRE LIT BY MAN. A forest fire generates light and heat but it lacks purposiveness of fire lit by man. 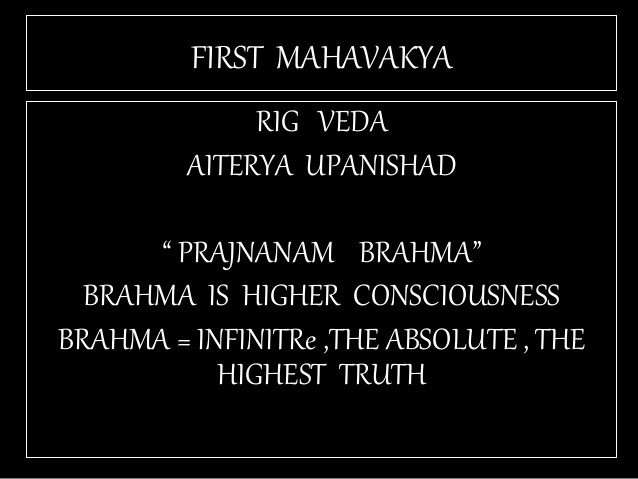 TAT ASMI PRABHU – FIFTH MAHAVAKYA – ANIMATE VS INANIMATE DUALISM. 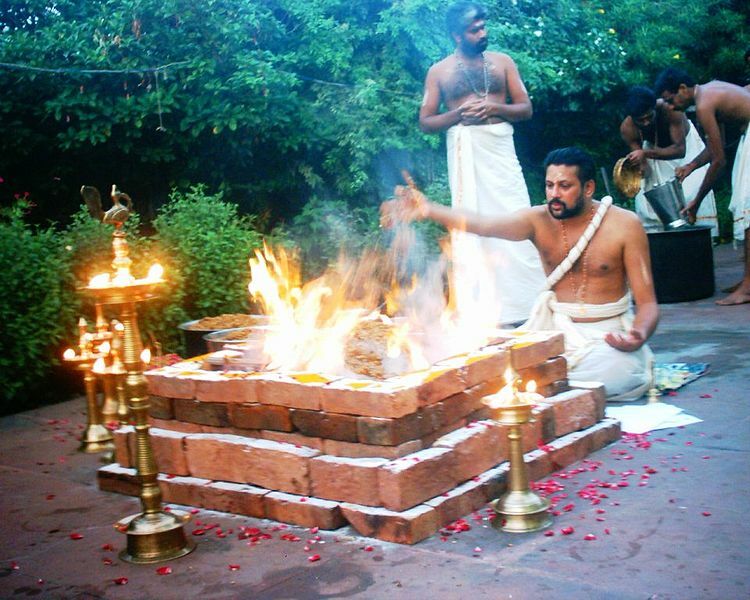 MAN LITS FIRE TO ACCOMPLISH A TASK SUCH AS PREPARING A MEAL OR TO PERFORM A RITUAL CALLED ‘HOMA’ OR ‘YAJNA’. Man lits fire to accomplish a task such as preparing a meal in his kitchen or to perform a ritual called ‘Homa’, or ‘Yajna’ in Indian tradition. While man uses fire for a variety of purposes, a distinction has to be made between fire, combustion or rapid oxidation and Oxidation-Reduction Chemical Reaction used by living things to generate heat and energy to perform a range of living functions called ‘Metabolism’. 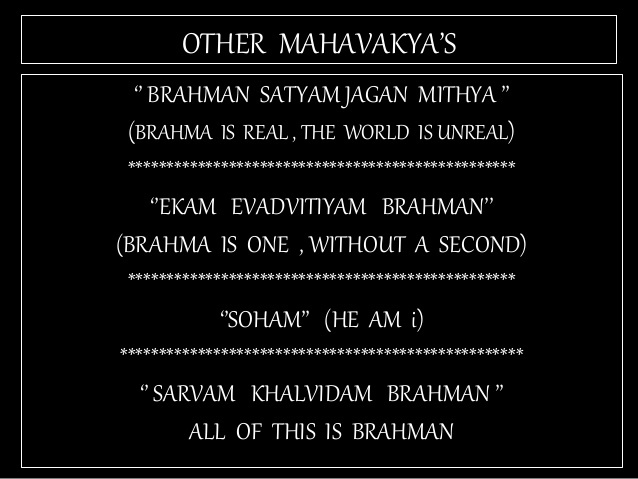 TAT ASMI PRABHU – FIFTH MAHAVAKYA – ANIMATE VS INANIMATE DUALISM. 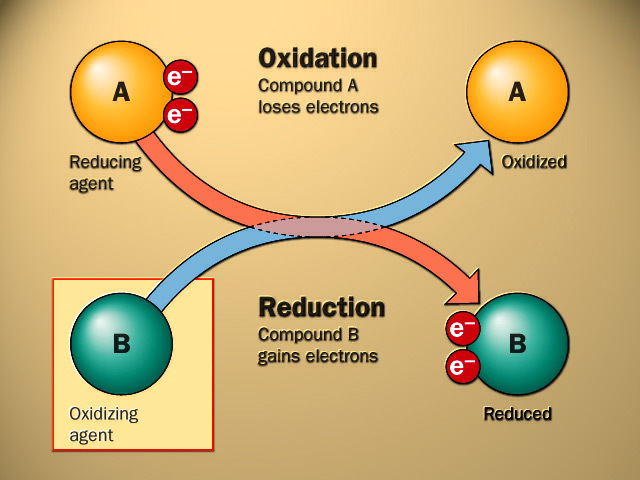 BOTH LIVING AND NONLIVING CAN PERFORM OXIDATION-REDUCTION CHEMICAL REACTIONS. THE LIVING USE THIS REACTION WITH PURPOSIVENESS. Living or Animate Matter has inherent ability to attract both living and nonliving matter found in its external environment to acquire energy, to manipulate energy, and to exploit energy taking advantage of mechanical principles shared by Physics and Chemistry. 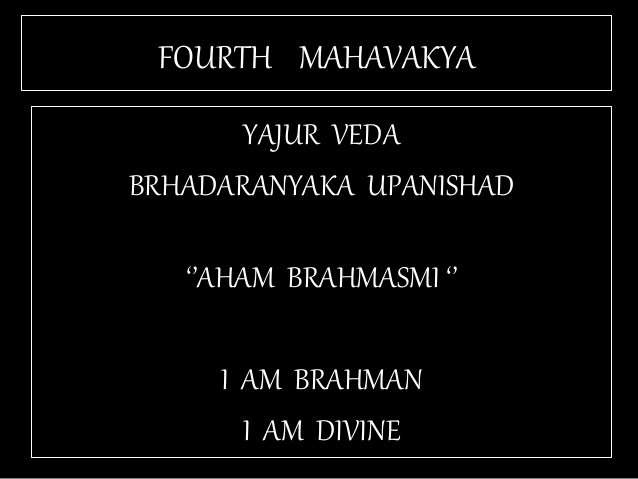 TAT ASMI PRABHU – FIFTH MAHAVAKYA – ANIMATE VS INANIMATE DUALISM. 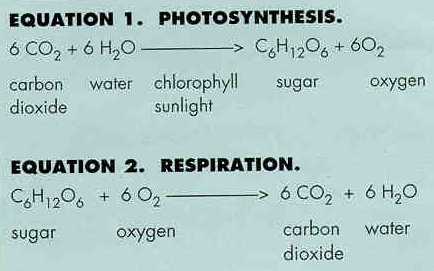 PHOTOSYNTHESIS, AND RESPIRATION HAVE TO BE UNDERSTOOD AS INTELLIGENT, VITAL OPERATIONS INVOLVING IMMANENT ACTIONS. 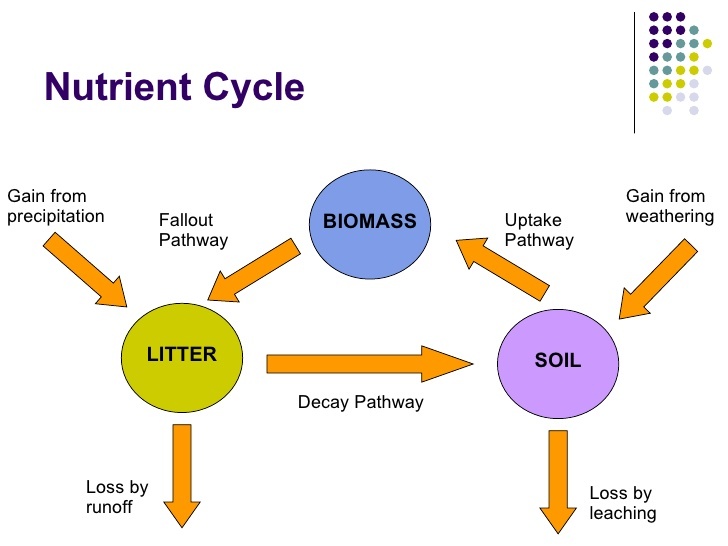 Living Operations such as Photosynthesis and Respiration are vital functions for they provide energy to further perform a variety of Immanent Actions whose results are retained by agents of those acts. TAT ASMI PRABHU – FIFTH MAHAVAKYA – ANIMATE VS INANIMATE DUALISM. 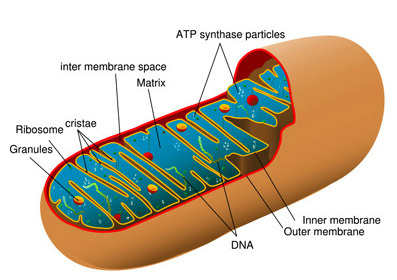 MITOCHONDRIA ARE INTRACELLULAR ORGANELLE INVOLVED IN PERFORMING OXIDATION-REDUCTION CHEMICAL REACTIONS TO OBTAIN ENERGY, AND TO GENERATE NEW FORMS OF CHEMICAL ENERGY TO CARRY OUT LIVING FUNCTIONS. A stone when heated acquires energy but stone has no ability to further manipulate and exploit that energy to perform sequential, goal-oriented actions. Mitochondria, intracellular organelle found inside living cells, are involved in performing oxidation-reduction chemical reactions to obtain energy, and to generate new forms of chemical energy to carry out a variety of living functions. Inert or Inanimate Matter is governed purely by mechanical principles and its transformations and processes obeying Laws of Physics and Chemistry. The Phenomenon of Life, and Animate Matter involves processes and transformations that go beyond obeying elementary Laws of Physics and Chemistry. Both Animate and Inanimate Matter is made up of Chemical Elements which display characteristics that can be called eternal, immortal, immutable, imperishable, indestructible, unborn, and uncreated. Animate Matter exists because of this potential capacity or power of Inanimate Matter. There is cyclical flow of Chemical Elements in Nature where this transition from Animate to Inanimate Matter plays a crucial role to operate biological phenomena of Life and Death. While it is important to make distinction or separation of Animate and Inanimate Matter, it is important to note fundamental capacity or power of Chemical Elements to maintain physical and chemical properties without changing under the influence of ‘TIME’. TAT ASMI PRABHU – FIFTH MAHAVAKYA – ANIMATE VS INANIMATE DUALISM. BOTH ANIMATE AND INANIMATE MATTER DERIVE THEIR IDENTITY BECAUSE OF UNVARYING OR UNCHANGING NATURE OF CHEMICAL ELEMENTS THAT CONTINUOUSLY FLOW IN NATURAL NUTRIENT CYCLES. TAT ASMI PRABHU – FIFTH MAHAVAKYA – ANIMATE VS INANIMATE DUALISM. 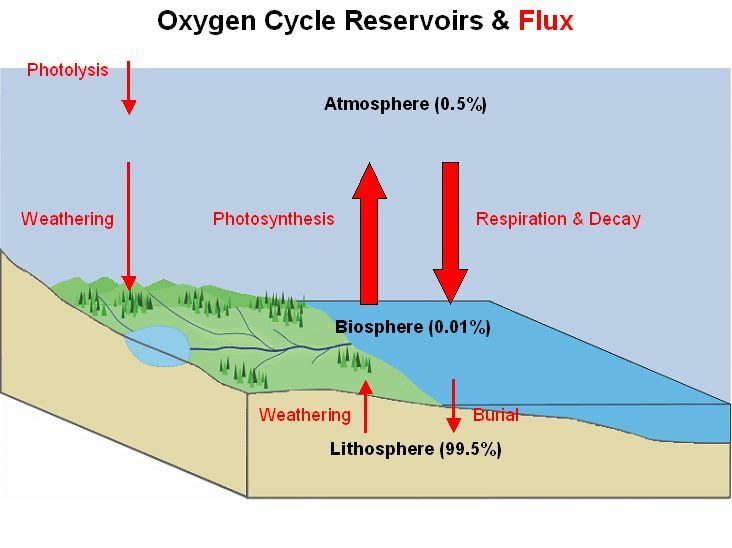 OXYGEN CYCLE INVOLVES BOTH ANIMATE AND INANIMATE MATTER. TAT ASMI PRABHU – FIFTH MAHAVAKYA – ANIMATE VS INANIMATE DUALISM. 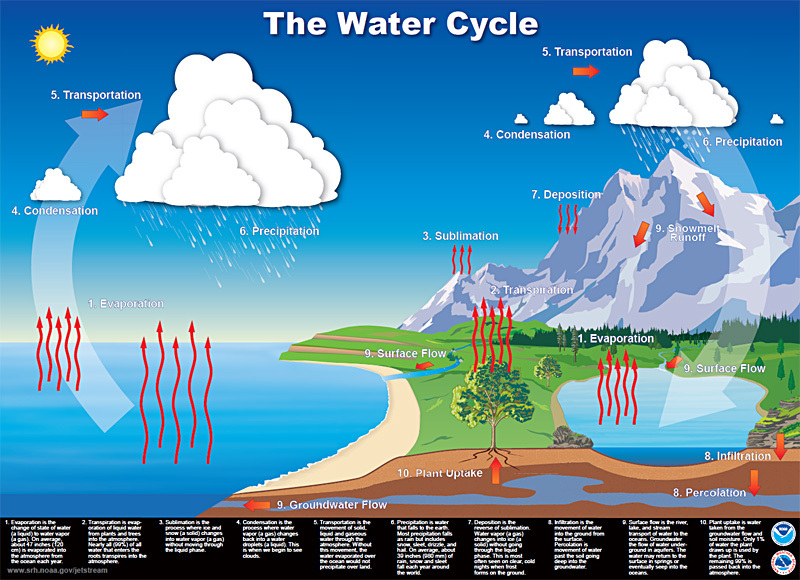 WATER CYCLE INVOLVES BOTH ANIMATE AND INANIMATE MATTER. TAT ASMI PRABHU – FIFTH MAHAVAKYA – ANIMATE VS INANIMATE DUALISM. 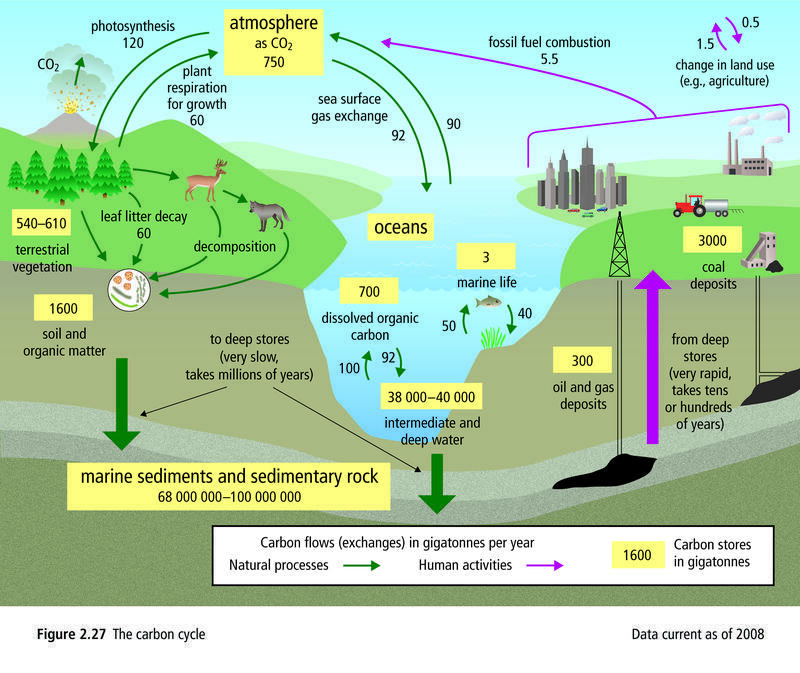 CARBON CYCLE INVOLVES FLOW OF MATTER FROM ANIMATE TO INANIMATE. TAT ASMI PRABHU – FIFTH MAHAVAKYA – ANIMATE VS INANIMATE DUALISM. 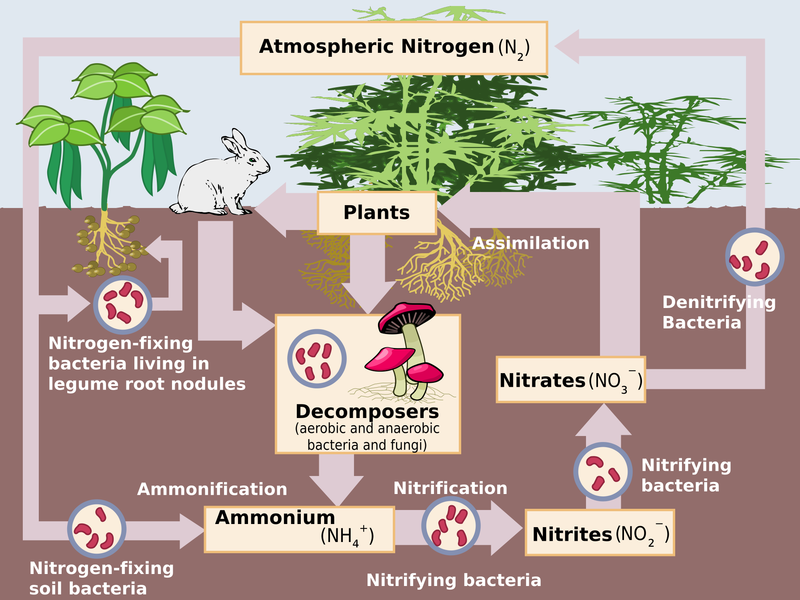 NITROGEN CYCLE INVOLVES CYCLICAL EXCHANGE OF MATTER BETWEEN INANIMATE AND ANIMATE. TAT ASMI PRABHU – FIFTH MAHAVAKYA – ANIMATE VS INANIMATE DUALISM. 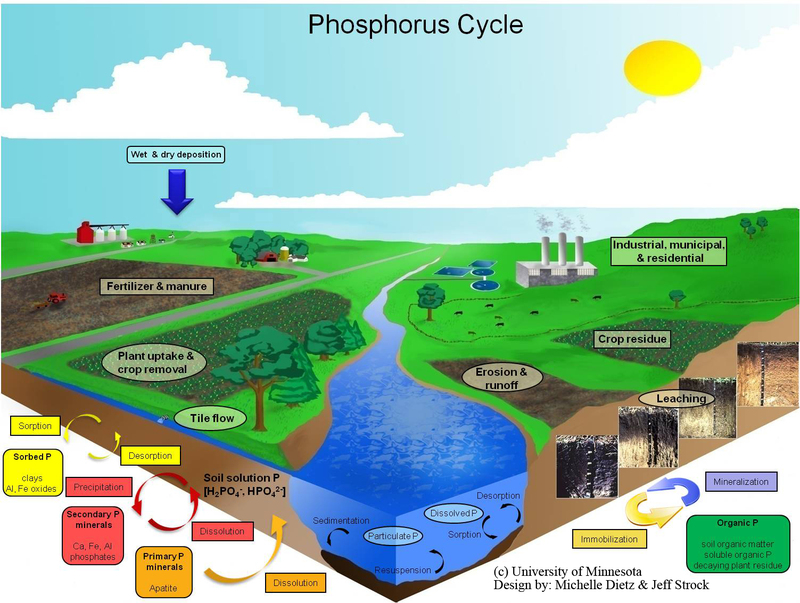 PHOSPHORUS CYCLE DESCRIBES CYCLICAL FLOW OF CHEMICAL MOLECULES FROM INANIMATE TO ANIMATE. 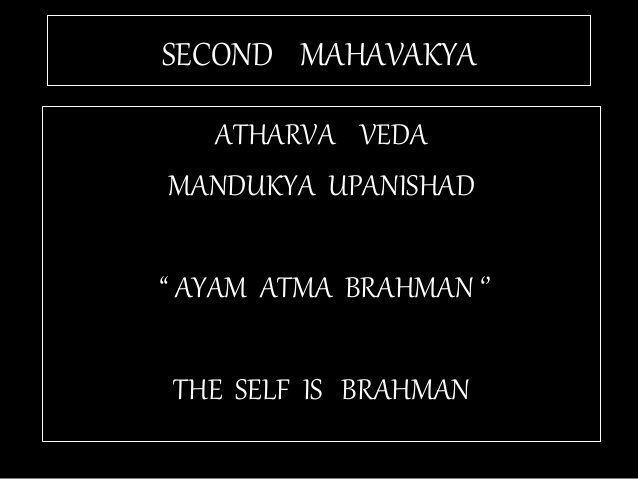 The division or separation, or distinction of man as perishable body and imperishable Soul is fundamentally flawed for both Animate and Inanimate Matter derive their nature from unvarying and unchanging properties of Chemical Elements. Animate vs Inanimate Dualism is primarily based upon Vital Operations and Mechanical Operations and it is not concerned with physical or chemical properties of Matter. 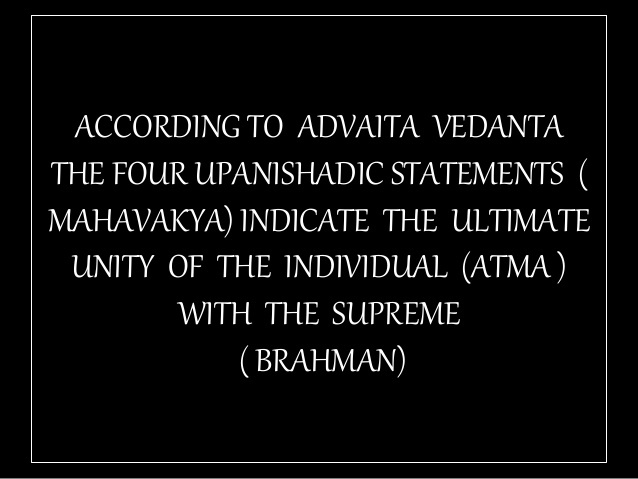 To that extent, in my analysis, the Four Upanishadic Mahavakyas take an approach not supported by reality of Matter. Tat Asmi Prabhu – Fifth Mahavakya – Animate vs Inanimate Dualism. The separation of Man into perishable body and imperishable soul is flawed. 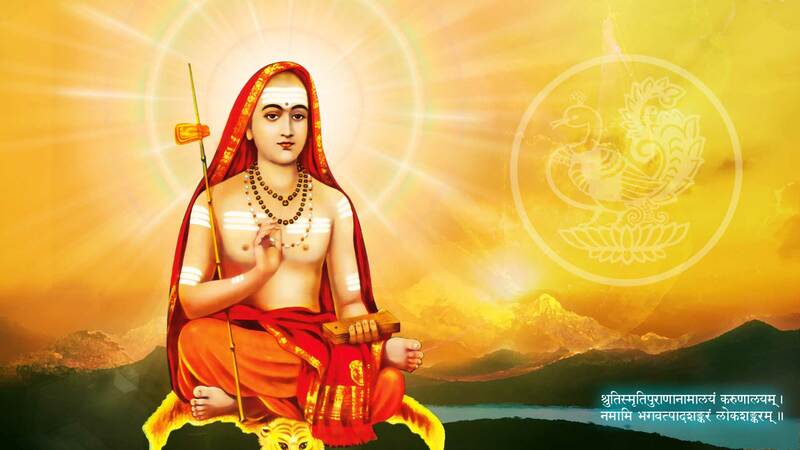 It is correct to say Man(Body and Soul) is united with LORD God or ‘PRABHU’. Tat asmi Prabhu – Fifth Mahavakya – Animate vs Inanimate Dualism. Man, Body, and Soul are united by LORD God or ‘PRABHU’ who still remains aloof, disinterested, or separate from both Animate and Inanimate Matter. GOD is a separate order distinct from Animate and Inanimate Matter. Tat asmi Prabhu – Fifth Mahavakya – Animate vs Inanimate Dualism. The separation of Man into perishable Body and Imperishable Soul is flawed. Tat asmi Prabhu – Fifth Mahavakya – Animate vs Inanimate Dualism. The separation of Man into perishable Body, and Imperishable Soul is flawed. Tat asmi Prabhu – Fifth Mahavakya – Animate vs Inanimate Dualism. The separation of Man into perishable Body and Imperishable Soul is flawed. It will be correct to state that Man(Body and Soul) or “TAT” is united with(ASMI) Prabhu or LORD God.